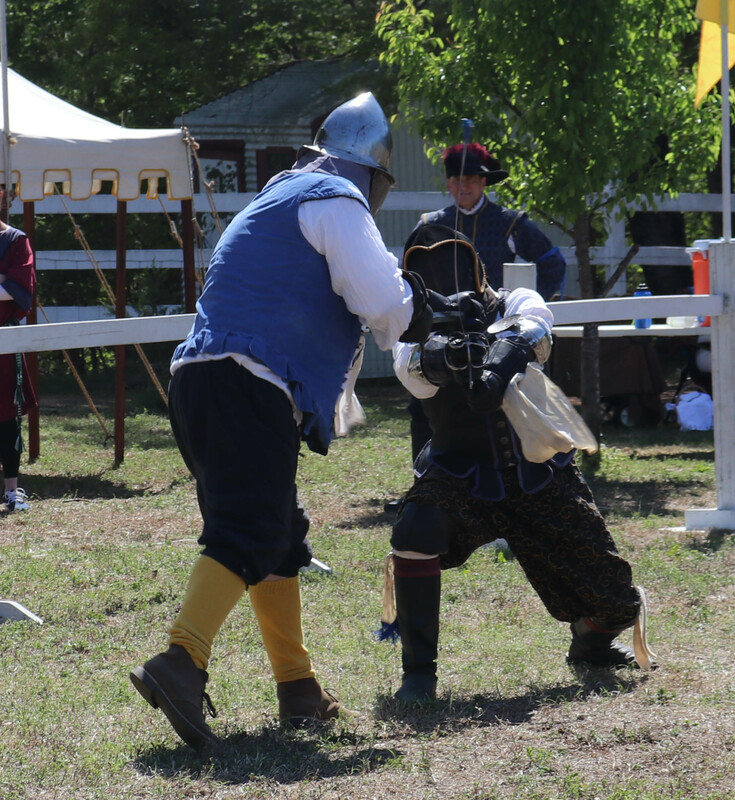 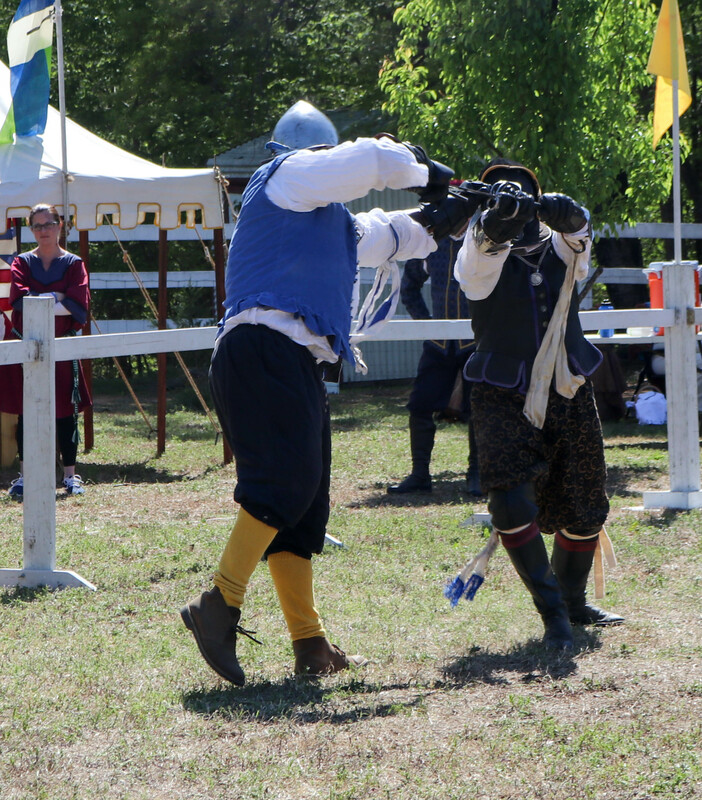 I was honored to be recognized as a Master of Defense (the SCA peerage for excellence in Rapier and/or Cut and Thrust combat) at Pennsic 47 (August 2018). 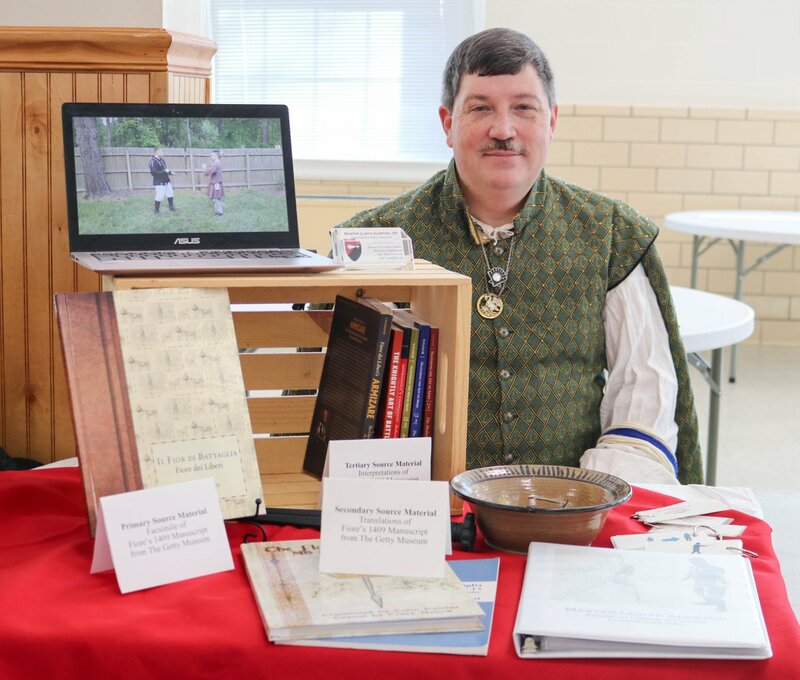 The regalia of the order is the while collar I'm wearing in the picture below. 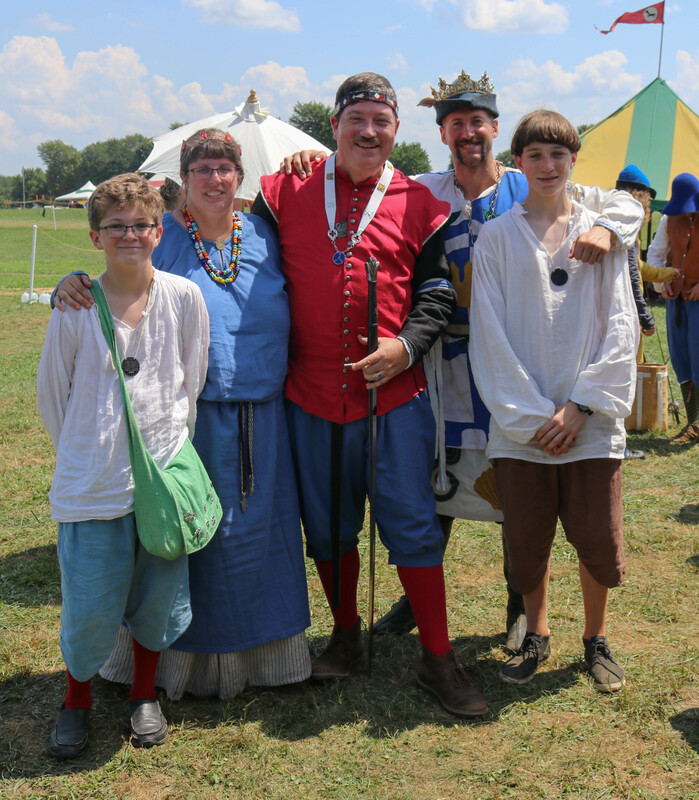 Also pictured is His Majesty Dietrich and my family.